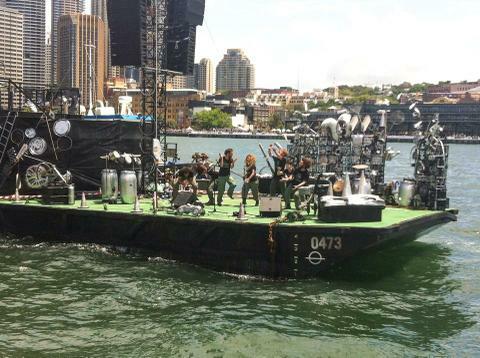 We did a crazy gig on a moving barge for Australia day. !0 minute shows in different places around the harbour every 15 minutes. Completely exhausting, we all leapt into the (admittedly quite putrid) water after the last show! My girlfriend Laura made the awesome junkyard set. It's usually very informative and as well. Thank you for sharing This knowledge.Excellently written article, if only all bloggers offered the same level of content as you, the internet would be a much better place. Please keep it up!